My name is Polar and I am a stuffed penguin from the Dreamy Eyes collection. I have an understuffed body that is perfect for cuddling as you will love the feel of my soft black and white fur. 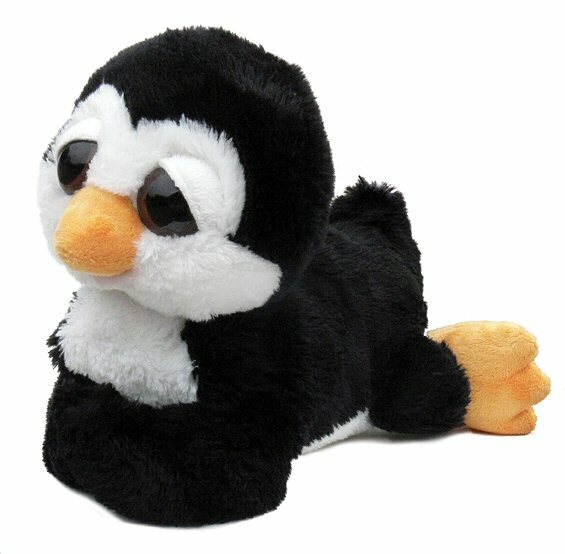 With an orange beak and orange feet, I am one plush penguin that you won't want to put down. Just one look into my big sleepy brown eyes and I know that we will be best friends for life! Iceberry, this adorable Li'l Sweet & Sassy stuffed penguin, has soft blue fur and beautiful sparkly silver eyes. Encourage nurturing play with this stuffed penguin set of mama emperor penguin and her little baby penguin. Mei Li, this Dreamy Eyes stuffed panda bear, has soft white and black fur, black accents, and big sleepy brown eyes in an oh-so-sweet smiling face. Celebrate a fun-loving spirit with this adorable Snowboarding Penguin charm by CHARM IT!